Originally published in 1972, Homo Sapiens examines how humans emerged from among the millions of other species and achieved our unique position within the animal kingdom. The book examines what direction future evolution will take and what may be regarded as the ‘meaning’ of human existence. It stipulates that these are the questions for which no real basis of discussion existed before the 20th century, and at the time of publication, some were still without a definite answer. The book sets out analyse these questions and the continuing debate that has arisen from their study. This is an account of the uniqueness of man in the animal kingdom, how this uniqueness arose during evolution, and what traces of it can be detected in animals other than man. 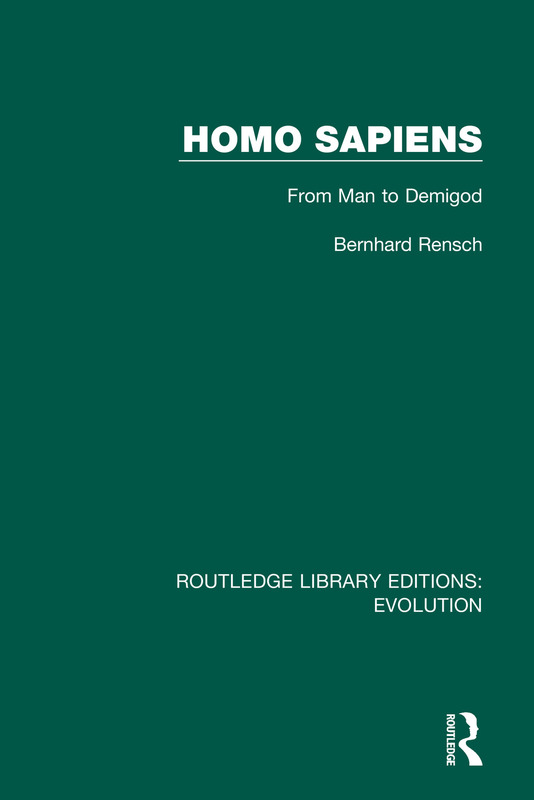 The book describes the mental and physical evolution of man, from his earliest ancestors to the present day. He also gives an account of man’s cultural development seeking to establish that there is an underlying principal of cultural evolution, a principle that has been denied by many historians. Later chapters deal with the future and with possible forecasts of mankind’s further physical, intellectual and cultural evolution.